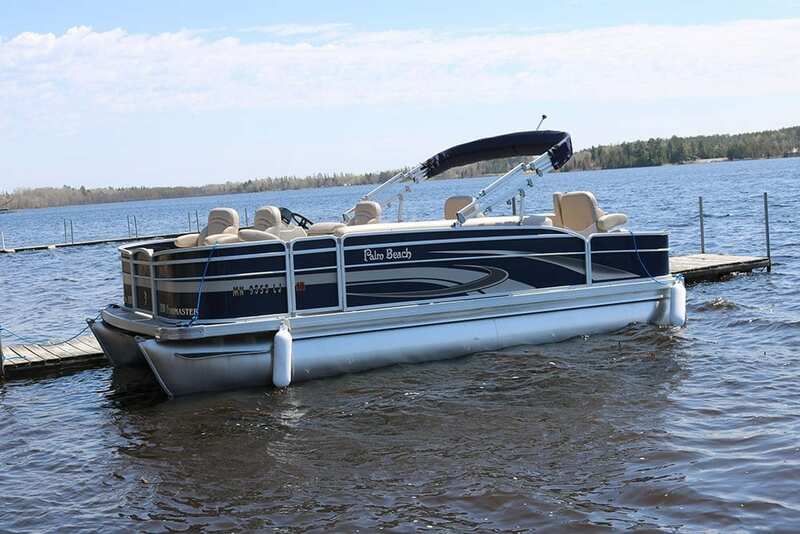 Our wide variety of Lake Vermilion rental boats ensure just the right boat to match your needs. 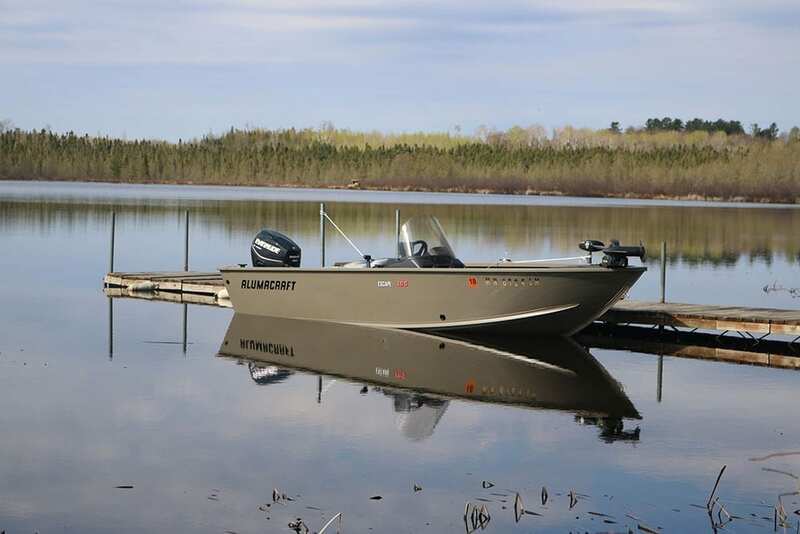 We offer guests staying with us a range of fully rigged Lake Vermilion fishing boats with all of the bells & whistles (many with GPS, sonar & lakemap). 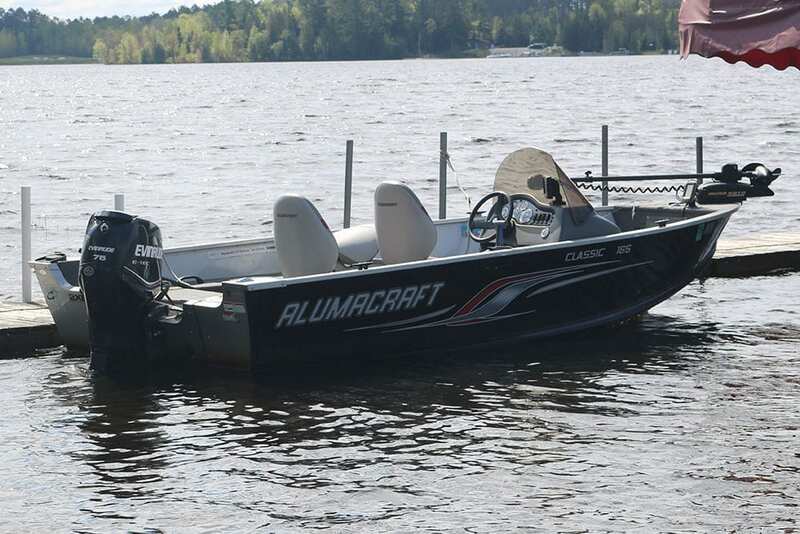 We recently added our 2017 Alumacraft Voyageur Sport 175 and our Alumacraft Escape to the fleet. Several more rigged options, our 2016 20 ft Palm Beach pontoon with a 2017 70 h.p. 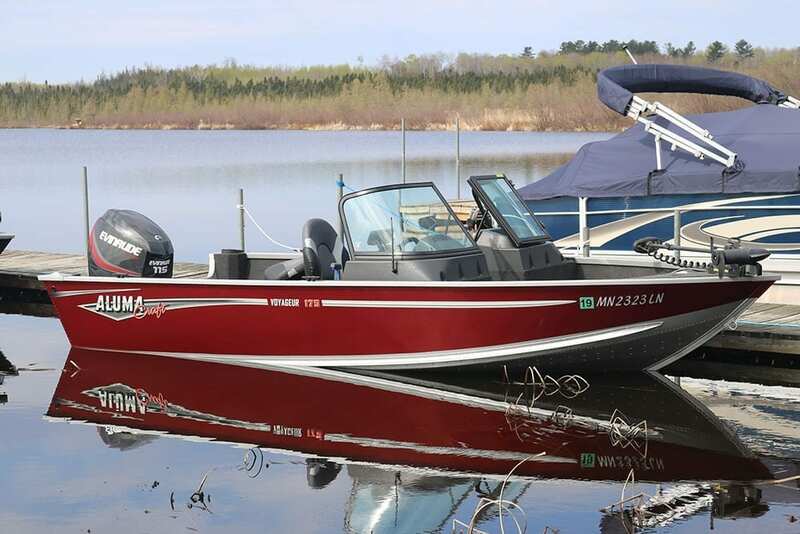 Yamaha and more basic 16 foot /20 or 25 horsepower options round out our boats for rent on Lake Vermilion. Want a full windshield? Like a Terrova trolling motor with the I-Pilot feature? 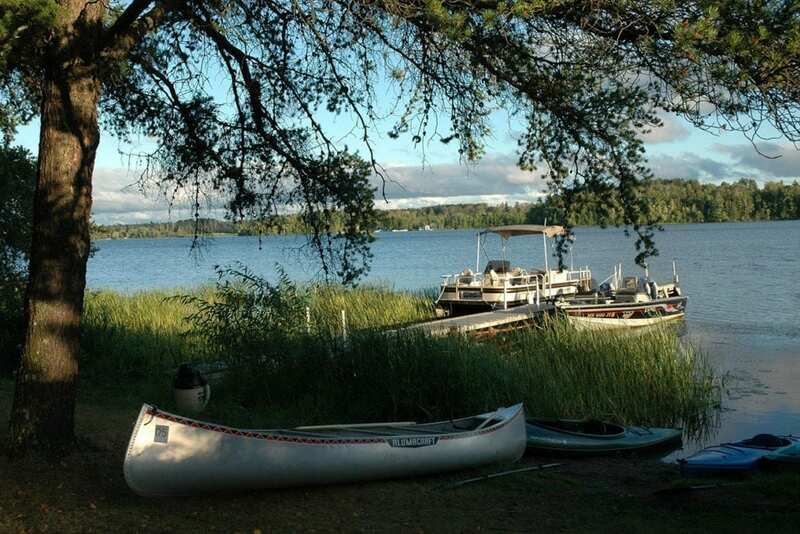 You can get as much or as little boat as you like, and venture as near or far as you wish, taking advantage of our ideal location centered on the eastern portion of Lake Vermilion. Skiing or tubing are not allowed with any of our rental boats. Preference is given to full week boat rentals which include 2 free days in the weekly rate. Rentals of less than a week may be arranged based on availability. *Rates shown below are subject to tax, and gas/oil is charged as used. In addition to the fleet of rental boats, Everett Bay Lodge guests enjoy cruising the bay on our FREE kayaks, paddle boards, paddle-boat and canoe. Life jackets are required on ALL water toys. Paved roads lead right to our driveway and a concrete Minnesota DNR launch sits at the end of the resort making it easy for guests to bring their own boats. We include one reserved dock space with electricity with each cabin. Brand new rig – 115 h.p. Evinrude E-Tec, full windshield, trolling motor with I-Pilot using hand held remote, live-well, locator with sonar, lake map & GPS. Fully rigged for your fishing pleasure. 75 h.p. Evinrude, single console, Terrova trolling motor w/ I-Pilot remote and foot pedal, live-well, locator with sonar, lake map & GPS. 40 h.p. 4 stroke Yamaha, single console, bow mounted trolling motor, live-well, locator with sonar, lake map & GPS. 40 h.p. 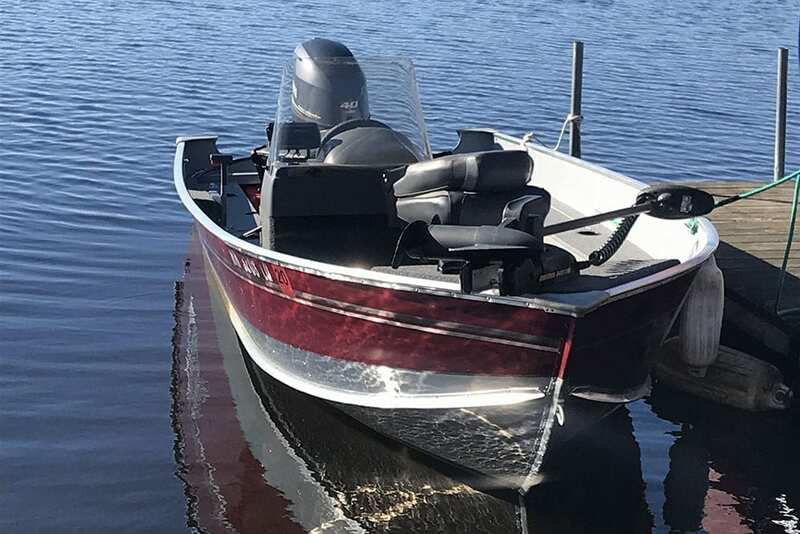 2 stroke Evinrude E-tec, single console, bow mounted trolling motor, live-well, floor and locator w/sonar, lake map, GPS. 2016 20 ft. Palm Beach with 2017 70 h.p. 2 stroke Yamaha, live-well, depth-finder w/ GPS and canopy. 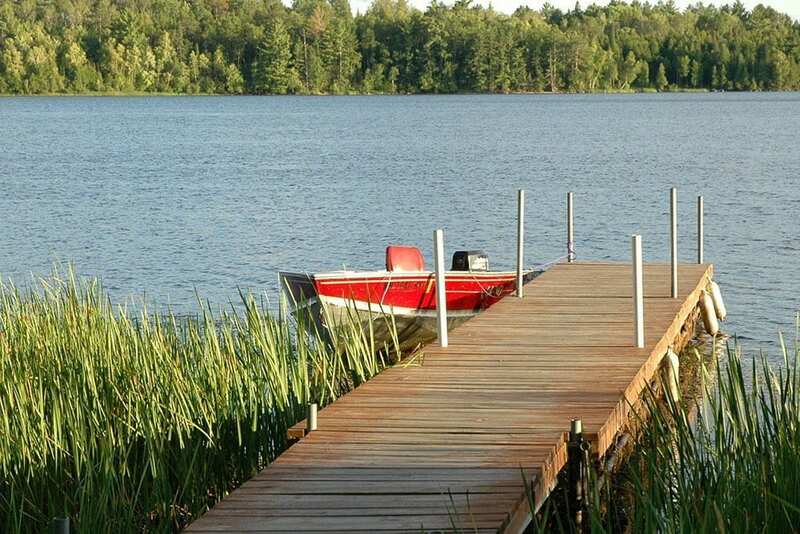 While our rental boats a nicely rigged for fishing, skiing and tubing are NOT permitted with any of our rental boats. Ask about miscellaneous items such as trolling motors, depth finders, etc. We carry premium unleaded gas, as well as TC-W3 outboard motor oil. Gas can be purchased straight or mixed. Above items available in limited numbers; items are provided on a first-come, first-serve basis. Use of resort water toys without a life jacket is NOT permitted. Note: Our 16 foot boats will handle motors up to 25 horse power.